DCS > Silent Auction – NOW CLOSED! Silent Auction – NOW CLOSED! 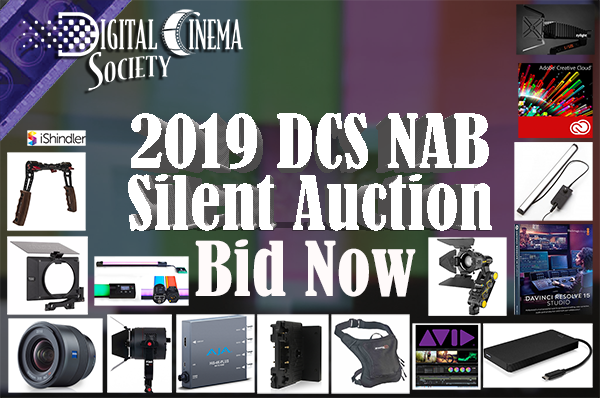 THE 2019 DCS SILENT AUCTION IS NOW CLOSED! Winners will be notified shortly. 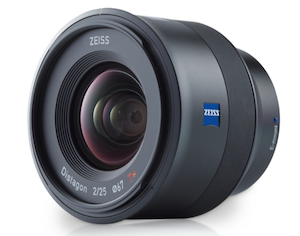 Short close-focusing distance, high speed, fast autofocus, and a wide field angle for the full frame: the professional lens for exceptional perspectives in landscape, architecture, street photography and photojournalism. The very close focusing distance of the 25 mm wide-angle lens supports the creative implementation of exceptional perspectives. An extremely uniform image quality is ensured right into the corners of the image. The lens is the perfect companion for shooting landscapes, architecture, street scenes and photojournalism. Avid Media Composer has long been the professional choice for top Movie, TV and Broadcast editors. Working with Media Composer is easier and more productive than ever. 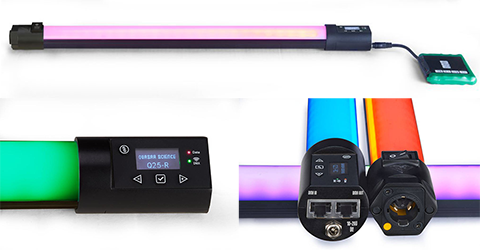 Connect any of your cameras or studio equipment to accelerate your workflow and create better content quicker. 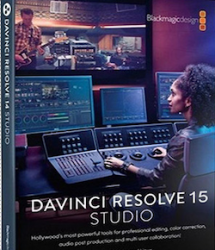 Now with up to 24 video tracks, 54 audio tracks and unlimited projects, plus the ability to edit up to 8K natively, Media Composer is the perfect tool for every production. 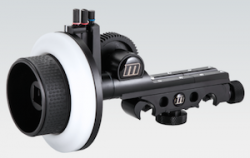 Zacuto Shorty Trigger Grips are short and sweet. They come as they are with no customization! 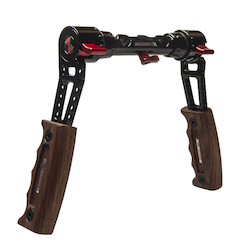 They offer you 8” dual wooden handgrips that are comfortable and quick to flip into position. The Shorty Trigger Grips slide onto 15mm rods. Trigger Grips allows for single-handed 360° rotation with the simple press of a trigger. The two handles rotate independently of each other. Flip them down for a low, rock-solid handgrip. Raise it up for more of an Aaton style position. 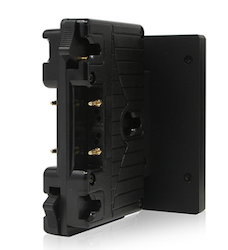 Or quickly flip them both all the way up to set your camera flat on the ground or for storing in a case. Or stagger them if that is more comfortable to you. In a convenient cylindrical form factor in length of 1′, the Pipeline remote phosphor provides ultra-high TLCI (Television Lighting Consistency Index) soft light that is controllable and dimmable with no color shift or flickering. Among Pipeline’s numerous advantages are low power draw, high light output, wide light dispersion, and heatless and fan-less operation. 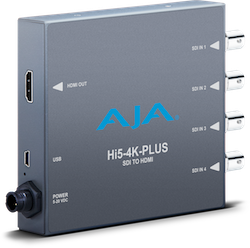 The Pipes are available in 3200K, 4300K or 5600K outputs and the winning bidder will have their choice of color temperature. 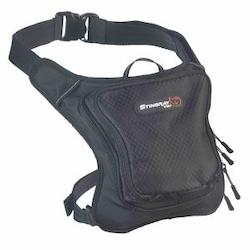 The new K-Tek Stingray Utility Hip Pack provides 2 spacious compartments, one with a built-in organizer, and offers places to hold equipment, accessories, tools, a mobile phone and whatever is needed to be close at hand and easy to find. Comfortable to handle, with a unique soft corner curved design, this versatile carrier is equally useful on-set and off. Its adjustable wide fabric waistband and padded exterior lets it be worn in a number of ways: holster style with the stay-in-place resizable and removable thigh-strap, as a fanny-pack, or even cross shoulder. Two sections offer wrap-around zippers for easy access. The main compartment measures 10” x 10” x 3”/ 25cm x 25 cm x 8 cm while the front compartment is an ample 7”x8.5”/18 cm x 35 cm. 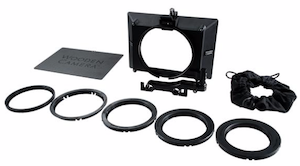 Each features soft lining with mesh pockets, a view-through vinyl-backed mesh section, and elasticized fabric pouches, making it ideal for all on-set departments like sound, lighting, grip, camera, make-up, still photography and script. DCS Advisory Board member, Marty Shindler is CEO of The Shindler Perspective, a husband and wife consulting practice with strong industry experience and educational credentials. Their backgrounds include Big 4 consulting/CPA firm experience, top 5 business graduate school with work experience at 20th Century Fox, MGM, Industrial Light & Magic and Kodak's Cinesite. This auction item is for a 1 hour session of one to one consultation to discuss your business ideas, planning, challenges or other topics of your choosing. See iShindler.com for the types of projects in which they have been involved, the companies they have worked with, complete credentials, and check out their informative eNewsletter. The LedzillaBI is engineered with dedolight's famous aspheric lenses delivering a clean, homogenous beam with unsurpassed focus range. In spot, at 5600K, you can get 30fc at 10’ from this little beast! Match any ambient light situation ranging from 2700K to 6500K with a CRI97 color rendering rating in tungsten. 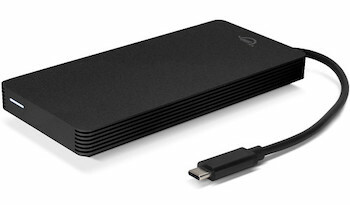 Flicker-free color and smooth dimming controls are easily accessible via the integrated ballast. 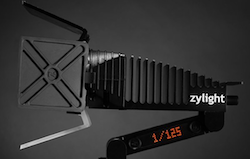 The LedzillaBI is engineered with a unique front-end bayonet mount system allowing it to be transformed for completely different purposes. 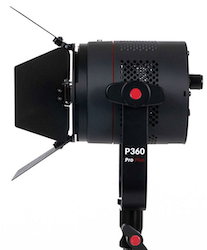 Available attachments include soft box, 8” soft tube, white dome (China lantern), and even a gobo or shutter imaging projection. 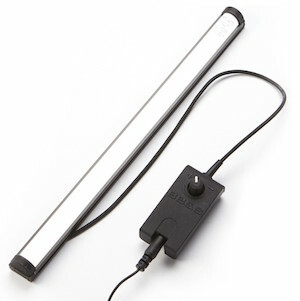 LedzillaBI pulls only 8 W (6v to 18v DC) and can be run from small NP batteries or AC power (options for Anton/Bauer, PAG, V-Lock, car cigarette and battery belt adapter are possible). 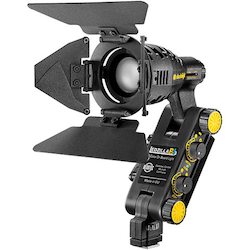 This light uses a shoe mount which can be converted to ¼” mount. This special DCS auction offering includes an NPF 950 battery with charger, and optional softbox attachment. MSRP of $85.00, (per submission fee waiver) with a FINAL Bid of $40.00 ea. The MAAT DRMeter MkII and DROffline MkII are loudness meter plug–ins designed for general use and specifically for music production. The DRMeter MkII is the only Loudness meter that displays channel–specific trends and events by augmenting the mandated mono measurement with classic L/R metering. DRMeter MkII is also the first plug–in to offer official DR dynamic range measurement. Also included is MAAT’s DROffline MkII batch measurement app, the only software that automatically measures all mandated R128 parameters, along with official DRi and a host of key metrics that your DAW may not display. All this in the background and out of your way. Both plug-ins are included as one item in this auction. Again, please specify the item, description, and price you would like to offer along with your current contact details. More Items may be added throughout the auction, and we will try to update as we are able, so check back often. We will do our best, but please know that this is no eBay. No offer of solicitation of any merchandise at any particular price is expressed or implied. Thanks for bidding!